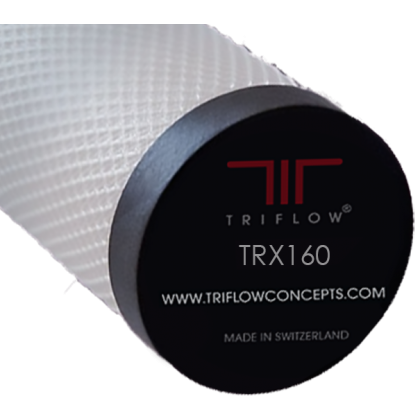 The TRX160 (Hi-Flow Matrix) is a push fit, solid carbon block filter cartridge. The solid carbon block filter does not have the ceramic outer shell found on other Triflow filters but has a higher capacity to filter out organic substances. It is therefore ideal for applications where microbiological quality is not considered to be a threat but high organics, heavy metals or taste and odour problems are foremost. - Specific concerns about heavy metals (e.g. lead). - High capacity requirement for chlorine taste & odour reduction. - Low local water supply pressure. - Concerns about organic levels causing taste & odour. - High level of suspended solids in local water supply.